You are here: Home › #oklaed › Failure IS An Option! ← These Kids Are Awesome! I like this phrase – I may just hang it up all over my room this next year. 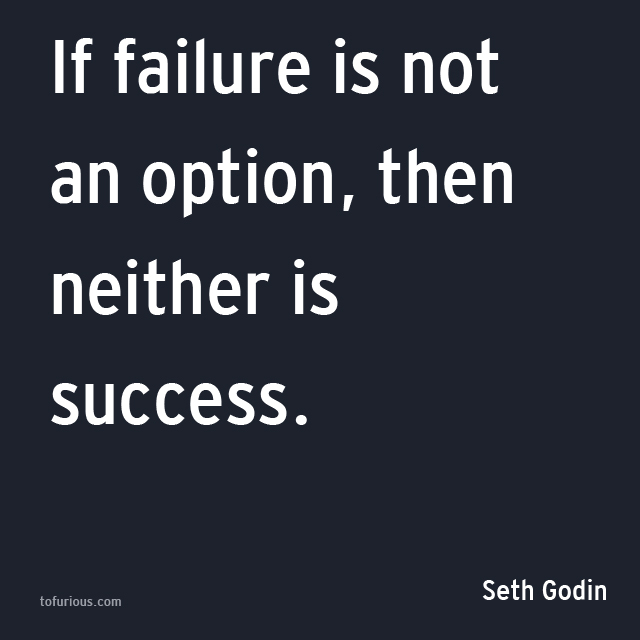 It seems that over the past several years, going back to No Child Left Behind, we have increasingly started using the phrase “Failure is Not an Option.” My question is why are we allowing students to be stuck in this mode? What happened to being able to make a mistake and LEARN from it?? What happened to trying something out for the first time ever and getting positive feedback about errors and mistakes. This culture of Failure is Not an Option is taking some of the inquisitiveness out of the students and replacing it with a very rigid, get it right the first time at all costs attitude. This past year I tried to really incorporate an attitude of Failure is Not An Option in my classroom. I stressed over and over to the students (Calculus and Precalculus) that the best place to mess up was with me, while working on homework or quizzes. 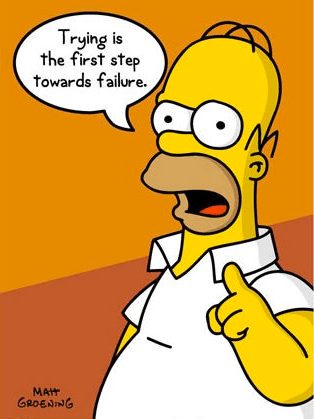 Make an effort, make a mistake and FAIL SAFELY, before the assessment piece at the end of the unit. Imagine a classroom where students can make those errors and not feel upset or be penalized because they were wrong – what would that look like? Don’t misunderstand me here – I am not advocating sitting around like a bump on a log and failing. I am not saying that students should always be passed/promoted to the next level. I am saying, lets give them some opportunity to learn from mistakes! Boy I have made my fair share and lived to tell the tale. As adults we can all look back at different parts of our careers and see mistakes we made, places we learned and grew as educators. There are times I want to apologize to all of my students from the first few years of my teaching career, I made mistakes, rookie ones…Nothing massive, nothing career ending, nothing earth shattering, but enough that those kids did not get the best teaching from me. I had to make some mistakes, think about what I was doing and why. I needed to talk with others who had gone before me who were amazing. I had to be willing to learn and to grow and to change some of the ways that I do things in my classroom. Thank goodness I am not still that teacher! But I failed, screwed up, made mistakes, fixed them, made worse ones, tried to fix those, learned new things, tried to implement those things, messed that up….The list goes on and on. If you are human then mistakes have been made and failures have happened. As I am trying to teach my middle daughter the beauty and freedom that is bike riding (think about the beauty and freedom you get from learning) – failures happen as well as a fair amount of persistence and perspiration from the teacher. A typical lesson looks like this: we get going, she is pedaling, I am balancing the world on three fingers, she forgets to steer, panics, shoots her legs straight out, gasps, and squeaks for help, I am now wrenching my back, flexing every arm muscle known to man, running with an awkward stance, and trying to keep her from having a catastrophic failure (one with owies). What would it take for all of our classrooms to be like this: Maer has to learn to ride her bike, this is new and scary and fun and challenging. My students this year will have to learn __________, this is new and scary and fun and challenging. She is most likely going to fail and get some owies (ones that might bleed a little). My students are most likely going to fail and get some owies (a poor test grade, bad quiz, terrible homework score). During failure recovery I give Maer some encouragement, some pointers, tell her she can do it, get her lined out and we try again. During failure recovery I give my students some encouragement, some pointers, tell them they can do it, get them lined out and move on. In neither case have I told anyone that they must master the craft by the end of the day/period. My daughter learns at a different rate than her brother and sister, it may take her longer or not…Who knows? But I don’t punish her for not figuring things out the first time. Maybe I should try and be a little more flexible with my students since they learn at different rates, right? This has been an idea that I have wrestled with over the past two years – I know that I don’t want my students in late spring to still be on topics from early fall…But what could I do to allow for different rates of learning. And if the students pick up an owie along the way or need to practice a little more on a specific skill is that bad? Do I really need to have everyone in Chapter 3 Section 6 on October 15? Maer asked today while trying to ride her bike “Dad, how old was Roan when he learned to ride?” Truth is they were roughly the same age, he picked it up after a week of intense work. She may or may not take longer and that is fine. Man – If my classroom could be like Angry Birds, just imagine the learning! Or what if we taught our students like we play Angry Birds? Imagine the scene – Epic Fail (not knocking all of the piggies) followed immediately by a level redo – WITH NO PENALTY AT ALL!! This is Failure is Not An Option in full swing!! 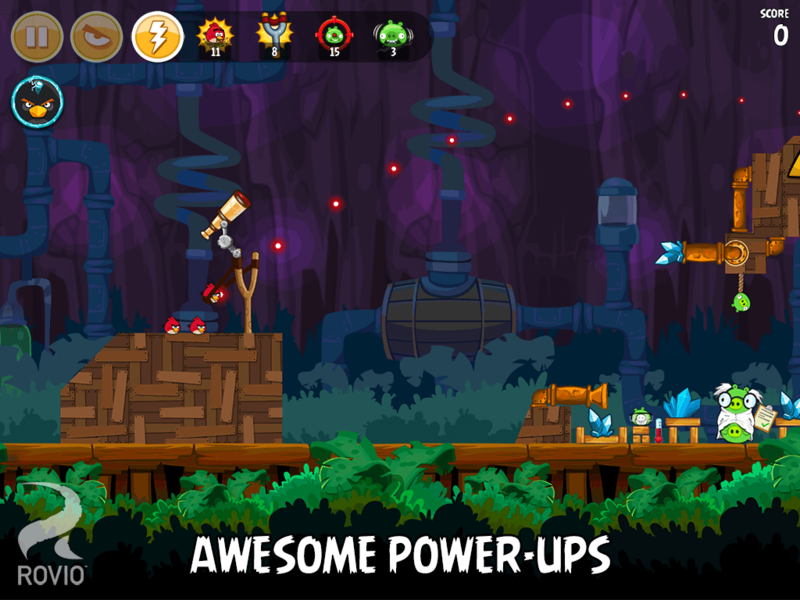 If you have been living under a rock, or refuse to acknowledge that technology and education can go hand in hand or simply have not tried it out – Angry Birds is a pretty addictive little game. Every time I pick it up, I just want to SMASH THOSE PIGS! Not only that, but I don’t move on until I get three stars…You know how many fails it takes to get three stars on some of those levels? Well let me tell you…I am proud to say that I am somewhat of an Angry Birds expert, I can probably solve that level you are stuck on. And I’m not afraid to use Google to do it! You also get fun little achievements, even in the middle of failure. Achievements for doing what I was supposed to do anyway – destroyed 5,000 blocks, destroyed 1,000 pigs, played for 10 hours…Take this big idea of Failure is Not An Option and move it to your classroom. How would this look – not 100% sure. We all have our little foibles that we don’t like to mess with too much. But maybe its a busier classroom because students do not move on until they have passed the unit they are in. Maybe we allow some students to move forward after they have mastered the material, even if this gets our entire class into two or three different lessons. Allow them to use Google or YouTube or whatever to investigate things they are stuck on (age appropriate of course). What about rewarding the students for things that they are supposed to do everyday anyway? In class for 90% of the days during first quarter? Cool – I’m buying donuts! No tardy’s during the first six weeks? Have an icy cold soda on the house! Entire class successfully passes the unit on Limits (even though they don’t all do it at the same time)? I’m bringing a Starbucks set up! What can I do more often to reward those students who are already doing what they are supposed to do? How can I reset the level for them when they fail, without making them feel stupid, dumb, left behind, or worried that they WILL fail? I want my students to fail safely – let me help them out and get them corrected, moving in the right direction. Maybe teach them some life skills – I haven’t always been able to get the job that I interviewed for, so how did I handle that situation? I learned that failure is an opportunity to learn, to improve areas where I am weak and to become better for it. Can we do this with our students as well?? 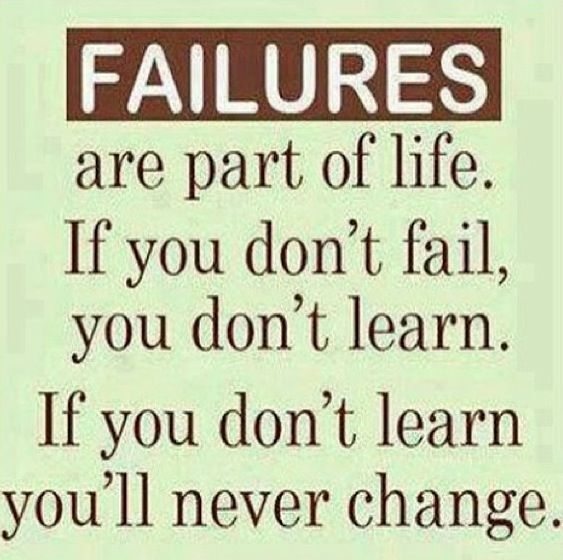 I like this one also – we need to fail to learn to change! I know that there are times when Failure Is Not An Option: anytime we send people into space, I want them to do cool amazing experiments and return to Earth safely. When I step into an airplane to go someplace: FAILURE IS NOT AN OPTION!!! It’s nice to arrive safe and sound at some fun destination. Or even not overcooking the burgers on the grill! Nobody wants to eat those (some of you do and thats ok, just no my preferred way to enjoy). 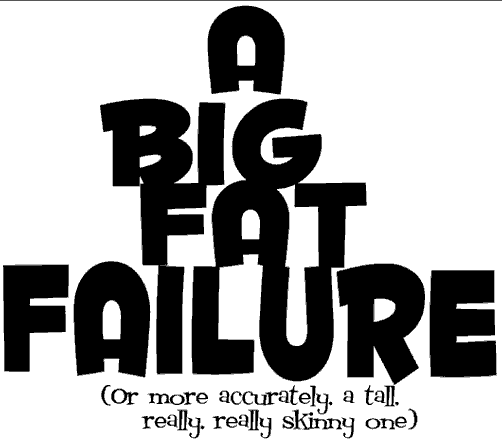 Right now with our high stakes testing culture there is no room for failure. And when schools do fail, they are punished for it. There is very little wiggle room to improve or get the serious help that may be required. Re-read the learning to ride the bike part of this post – my kids learn at different rates, my students will learn at different rates, our schools will have success at different rates. Can we learn from our Failures and improve? 5 Responses to "Failure IS An Option!" Thank you! I’m taking this into my classroom this year and looking forward to it!